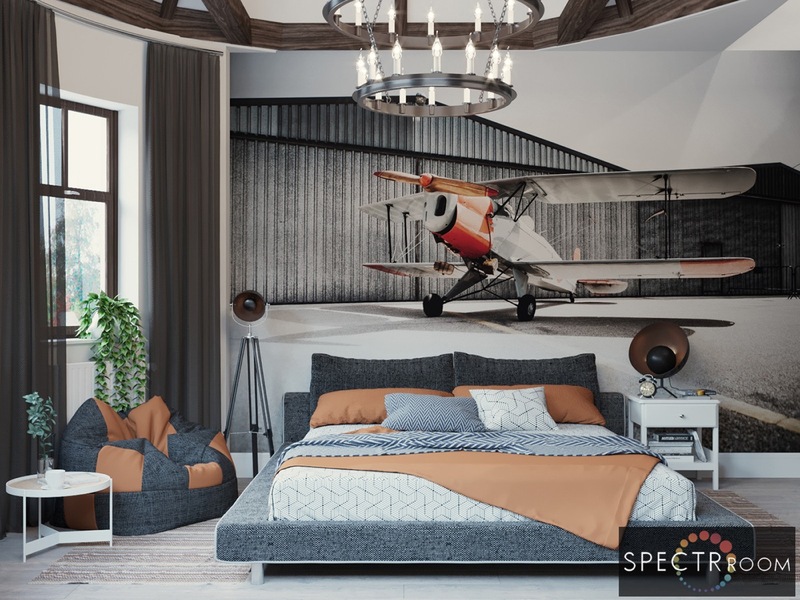 Just about everyone loves the idea of having a stylish bedroom, but this is perhaps particularly important to teenagers and 20-somethings. 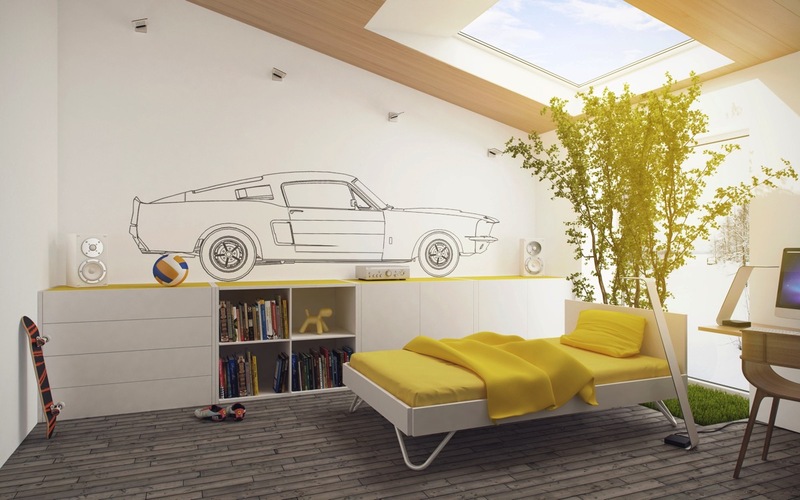 At the younger end of the age scale a bedroom isn’t just for sleep. 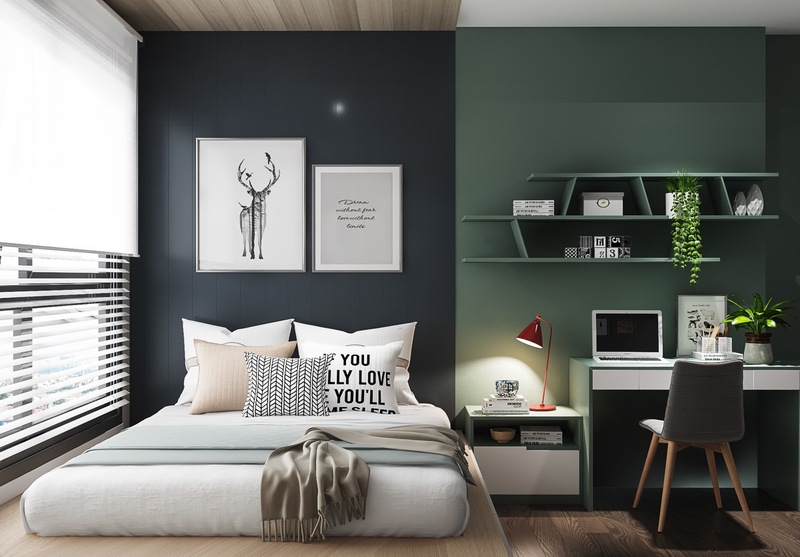 Tween rooms and teenager’s bedrooms are a place where a large proportion of time is spent just hanging out and seeing friends - either in real life or video chat - and studying (hopefully). Similar can be said about the student demographic of 20-somethings, and even some 30-somethings nowadays! 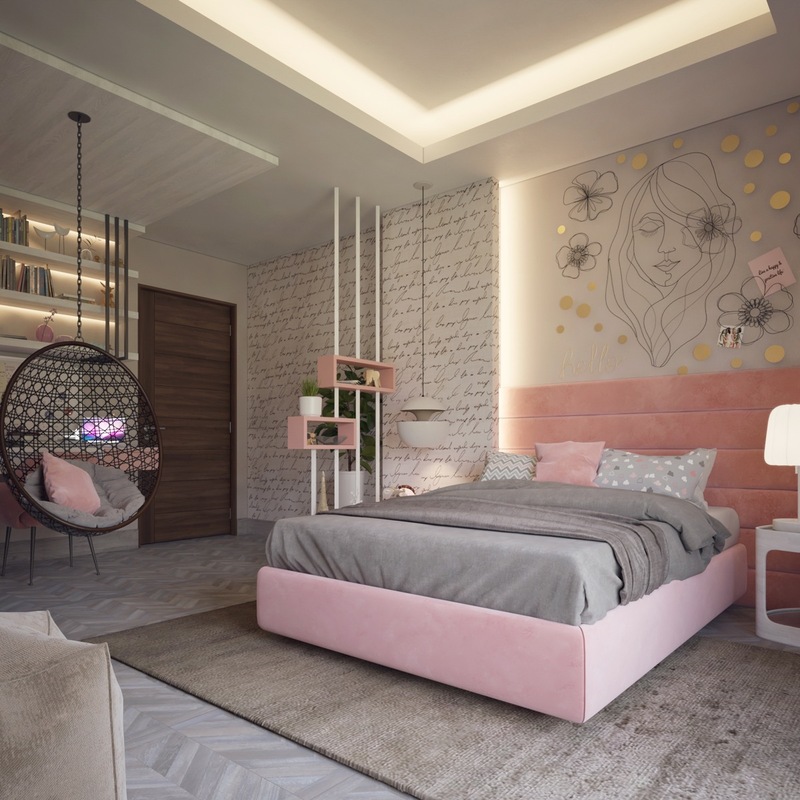 So, this collection of cool bedrooms covers a lot of ground to suit and satisfy the requirements and well-honed tastes of the up-and-comers, in a world that is more style conscious than ever before. Build an extension… on the side of your platform bed that is. This custom built platform bed features an extended bedside shelf at one side. 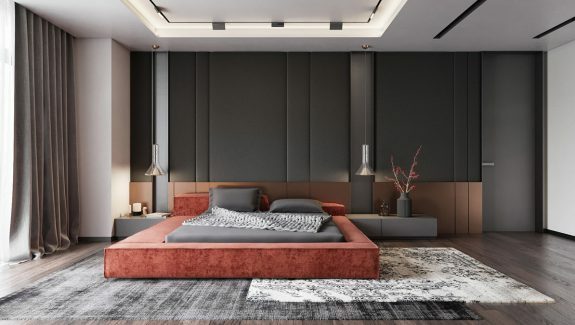 The tufted headboard extends all the way along the back of the countertop to provide one cohesive look. 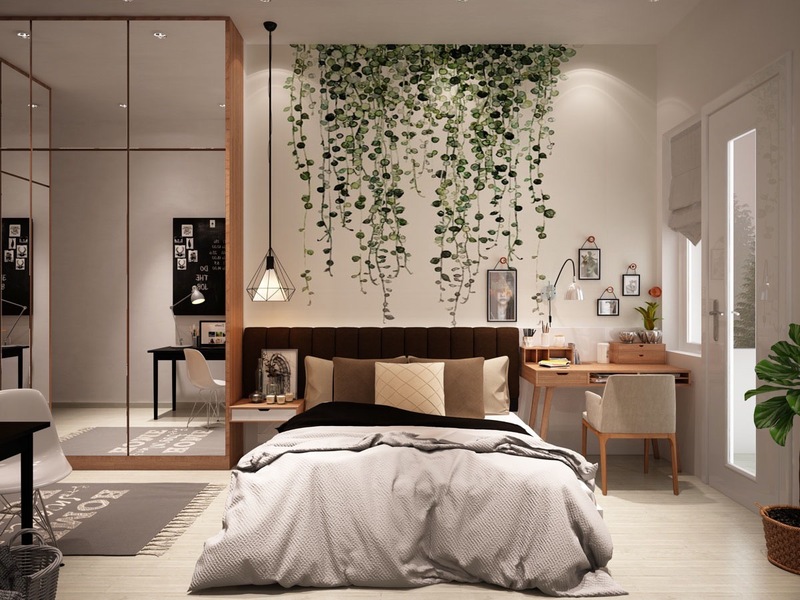 A green bedside lamp picks up on the colour of indoor plants dotted around a built-in bedroom shelving unit. Divide and conquer. 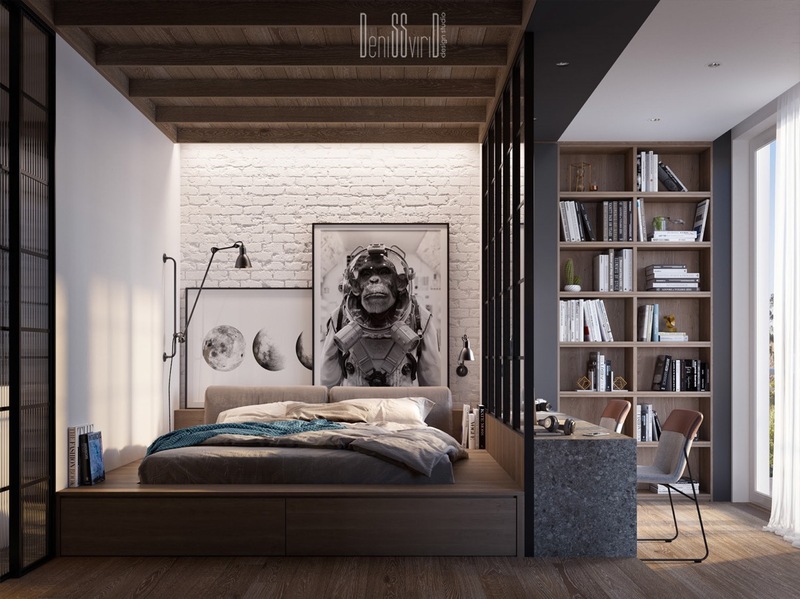 This layout features a room divider that allows a study desk to be positioned right up alongside the bed. 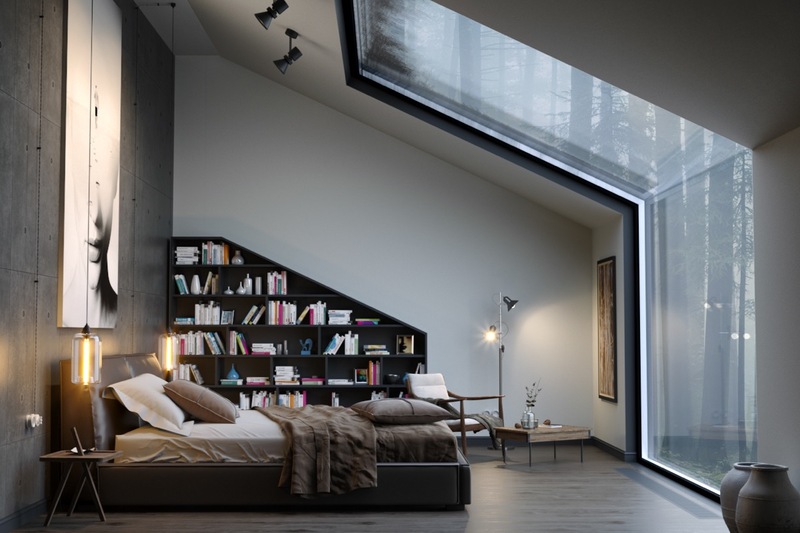 The bed is a platform design with deep sides that act as bookshelves. 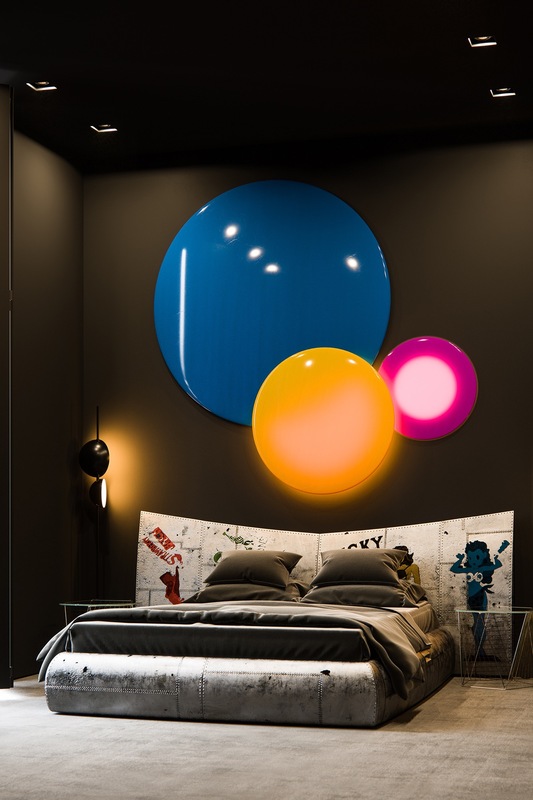 A swing arm wall lamp provides reading light. Bring on the brick accent walls. 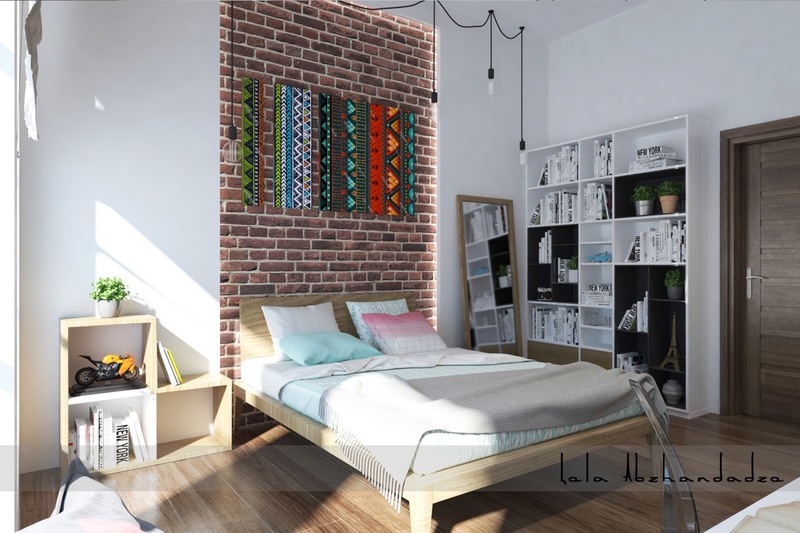 If we’re talking cool decor then we just have to crack out the exposed brick feature walls. The raw industrial look is always a winner, or brickwork can be painted in a rough and ready way. This particular concept features a border of gold paint washing down black bricks to add a smidge of decadence. Mighty monochrome. Set the style bar high with a gutsy monochrome wallpaper print. A blackboard makes a great colour coordinated accessory, and you can make one yourself pretty cheaply with a sheet of reclaimed wood and a tin of chalkboard paint. Scribe on an inspirational quote and you’re done. Light up your life. 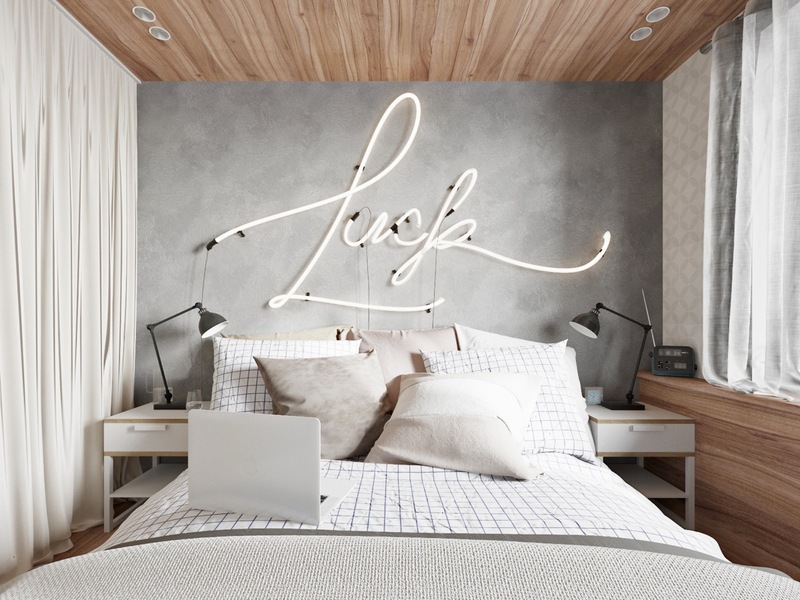 This plain white bedroom gains added interest from a wall of cool light fixtures. 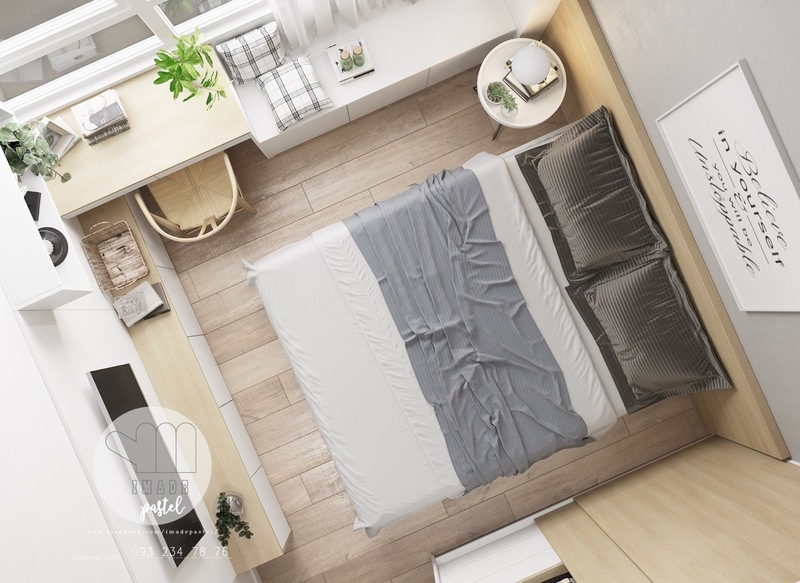 Maximise a small bedroom space with fitted furniture. 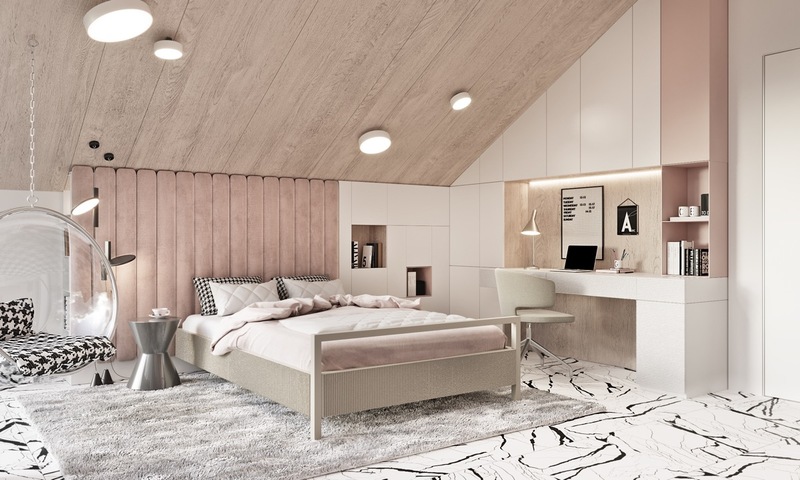 The small floorspace in this room houses a double bed, closet, dedicated study area, media storage and extra seating for friends, thanks to edge-to-edge flush-fitting designs. The sense of space is also increased by keeping colours minimal and natural. Zone with colour. 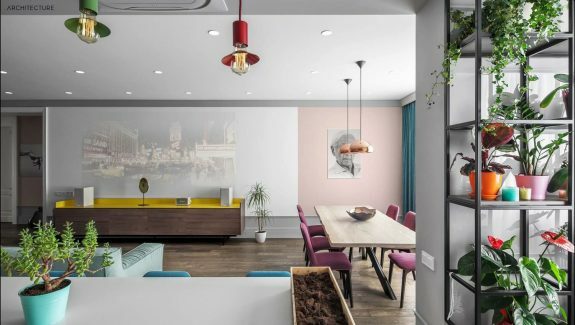 If the space is too small to take a room divider or screen of any kind, then you can create a visual divide by using two different colour wall paints. Matching the wall shelves and furniture finishes to the relevant wall colour strengthens the divide. Sleep in your own boutique. 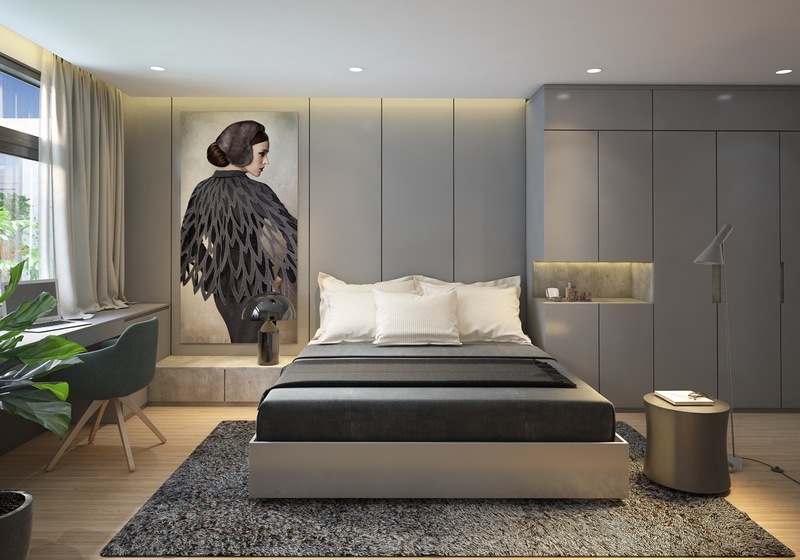 If fashion is your thing then make it your whole world – or at least most of your bedroom; an open fronted or clear glass closet will display your treasured pieces 24/7. 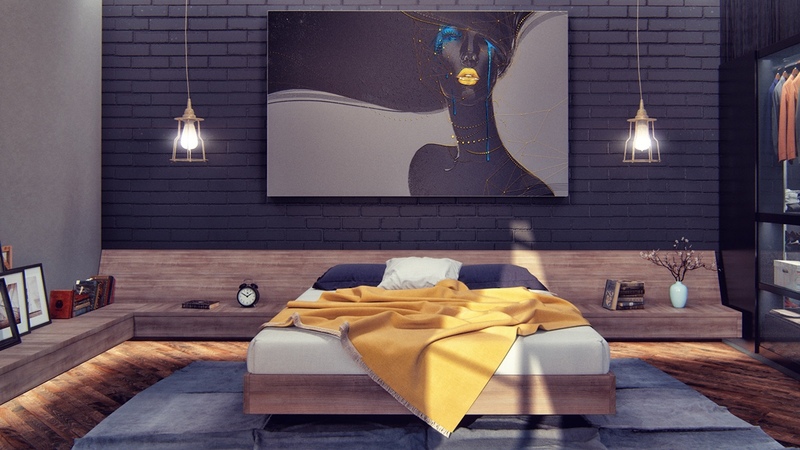 Accessorise the look with fashion themed posters or paintings. Do your own thing. Is it a photo display, some random wall decor, or is it a set of wall lights? All three, actually. Take it up a level. 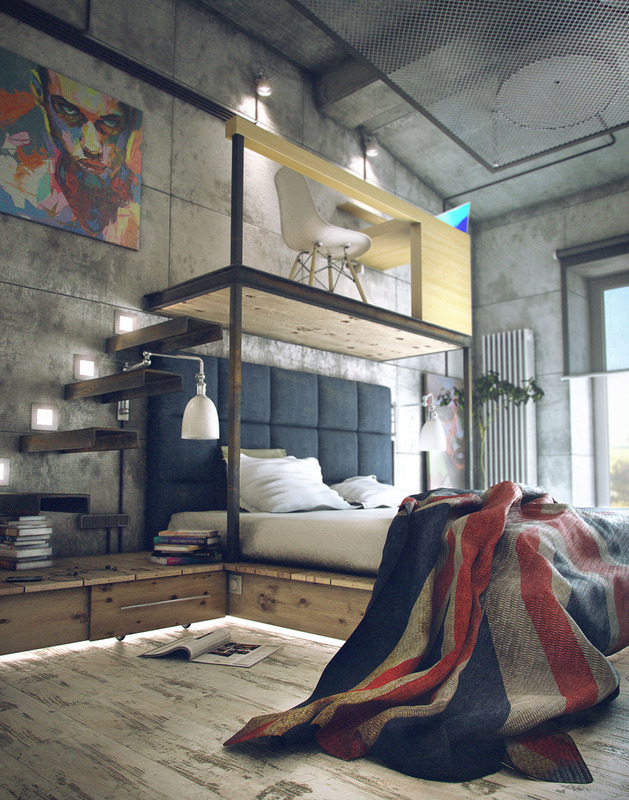 A mini mezzanine study has been built over the bed in this industrial bedroom. Floating stair treads extrude from a raw concrete wall, lit by LED stair lights. 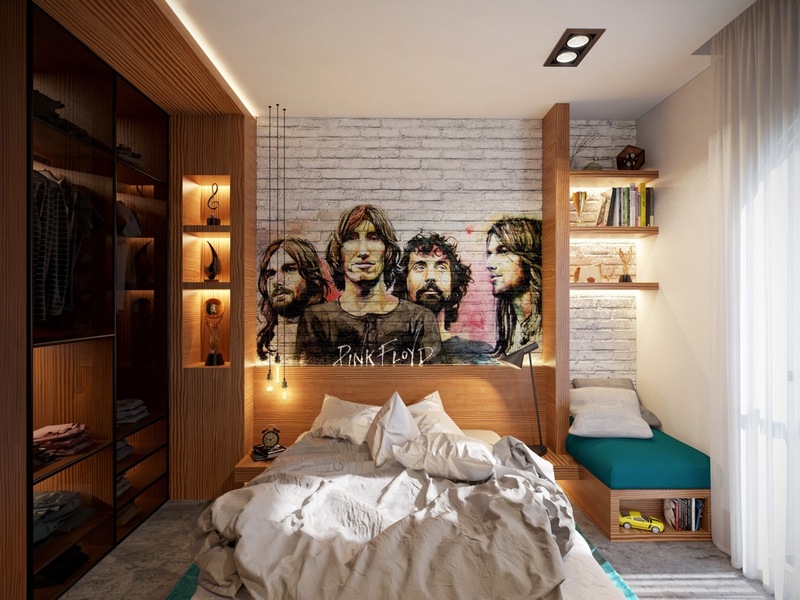 Pay tribute to legends with a mural of a favourite band, like this music themed decor. Mark out a mini entryway. This subtle screening device may only have two small box shelves and four vertical struts, but it effectively cordons off a small ‘foyer’ area. Dial up the drama. A modern chandelier will draw attention to great ceiling detailing, and give the space some grandeur. 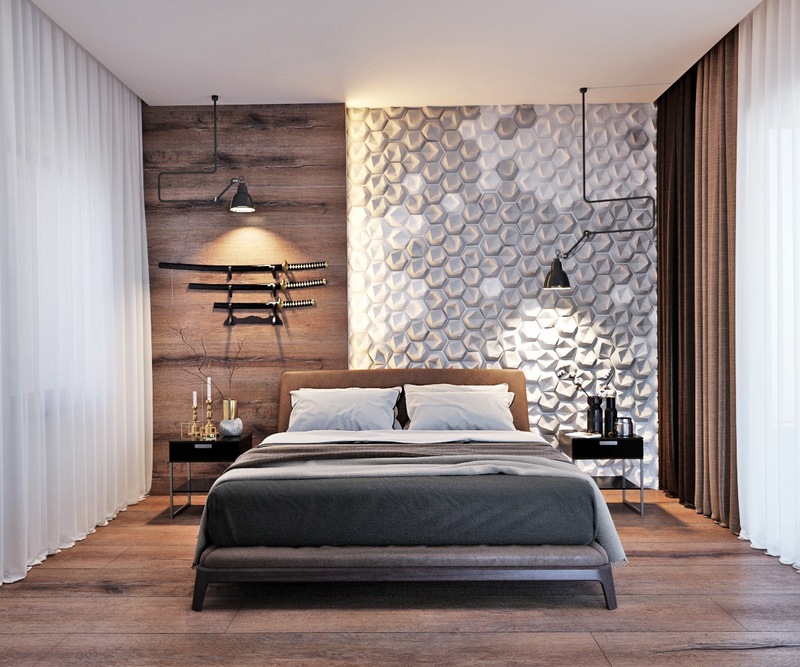 A photographic mural is a cool way to add wall wow factor. 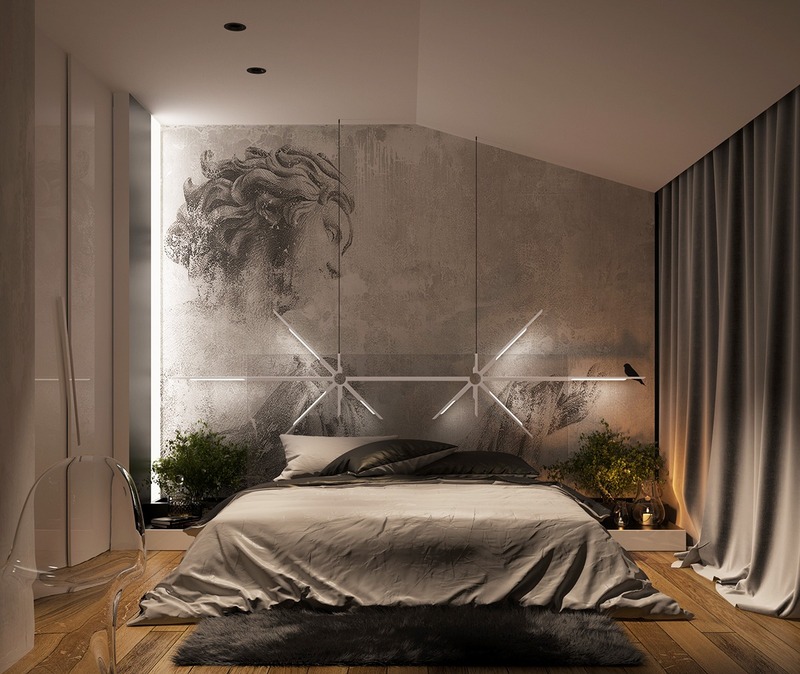 This wall mural is overlapped by statement pendant lighting to create a layered effect. A floor reading lamp makes a refreshing change to a bedside table lamp, and leaves countertop space free for charging phones/tablets etc. Bring the outdoors in. A grass patch and a sapling grow behind the headboard in this unusual setup. Express yourself in lights. Neon light signs come in all shapes and sizes; search out a message that suits you, and go large. Paint with light. If neon light letters don’t fit your vision, consider exploring coloured neon tubes instead. Make the bed the star of the show. 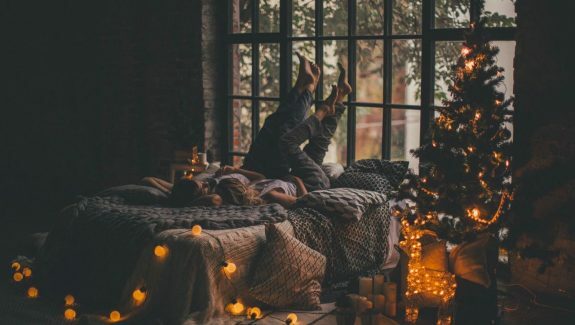 A bedroom might include a desk, bookshelves or a fancy closet, but it will always be the bed that is the most important part of the room. 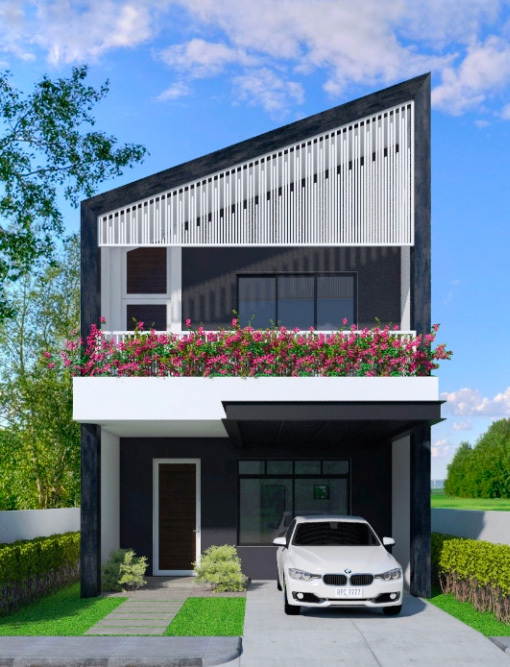 Choose a stand out design and crown it with an eye-catching wall design. 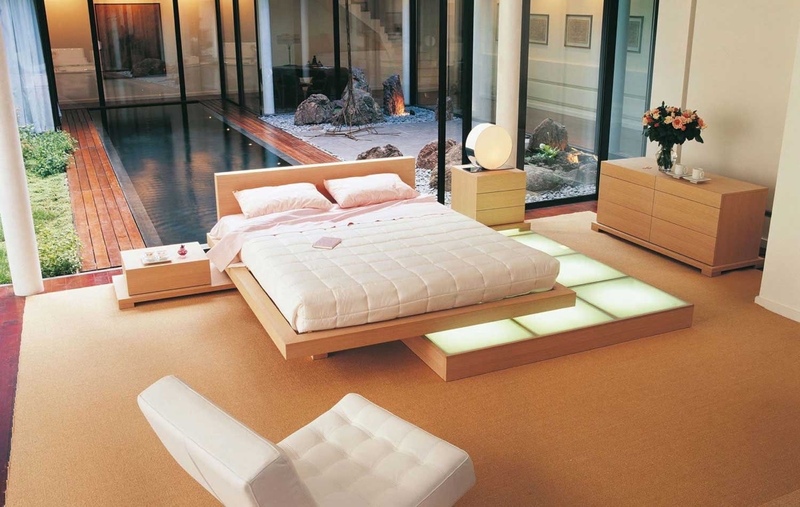 Go all out Austin Powers with a round bed. 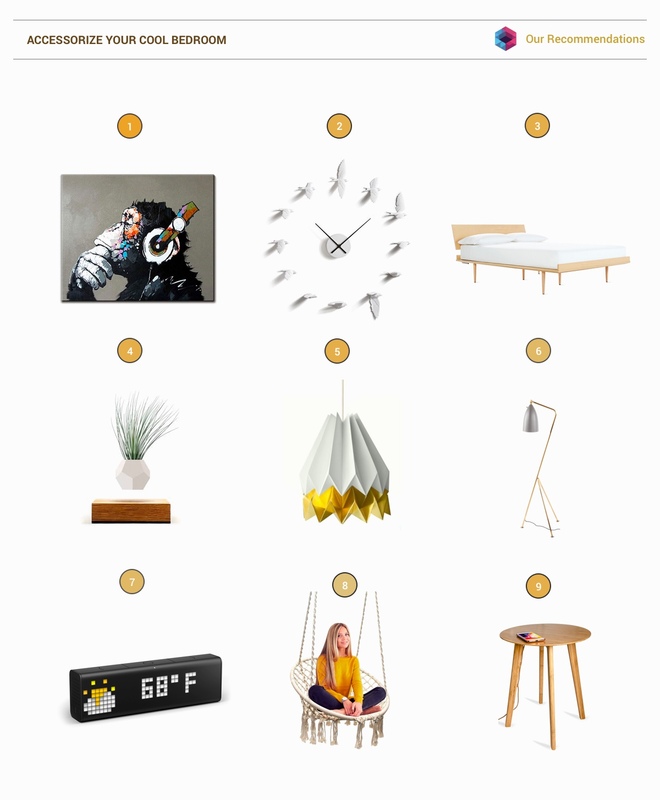 Find new and inventive ways to incorporate interests and hobbies into the decor. 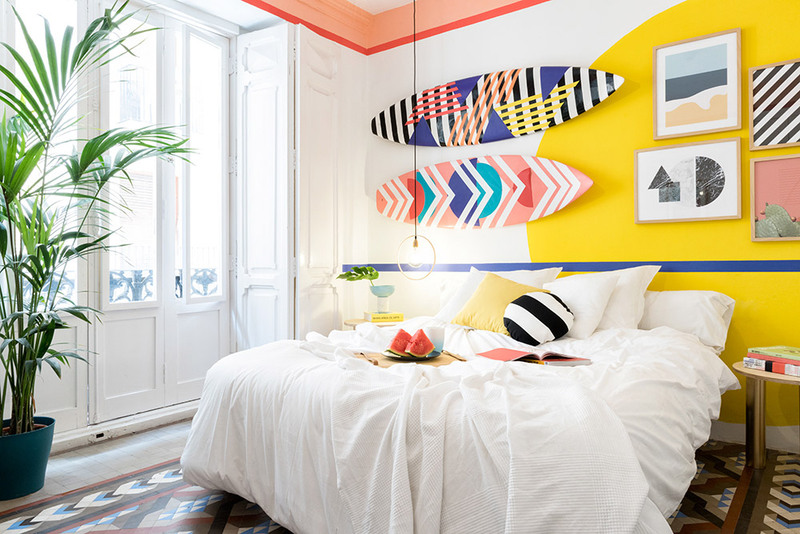 This room has unique painted surfboards mounted on the wall, as part of a larger colourful graphic scheme. Botanical illustration brings this scheme to life. Liven up a monochrome palette with a single bright accent colour. 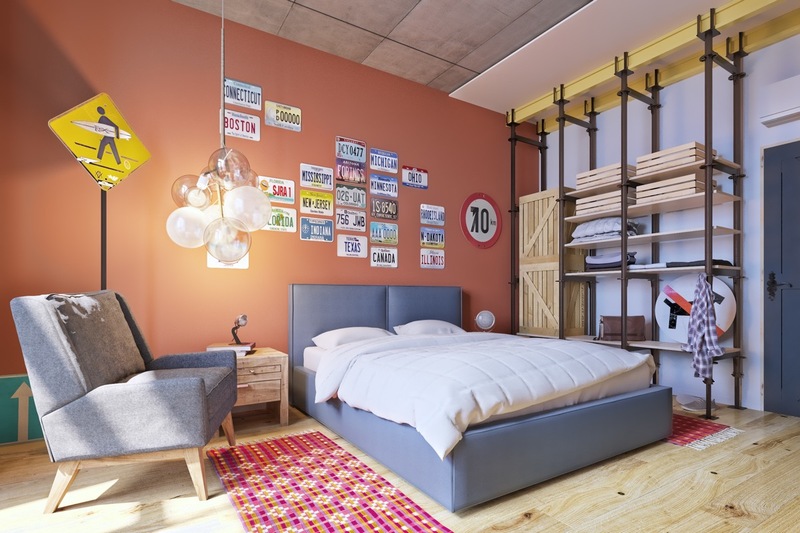 Get thrifty with an industrial look. You can use registration plates and signs to accessorise an industrial scheme – the quirkier the better. Fashion shelving out of scaffolding, or from pipes and planks. 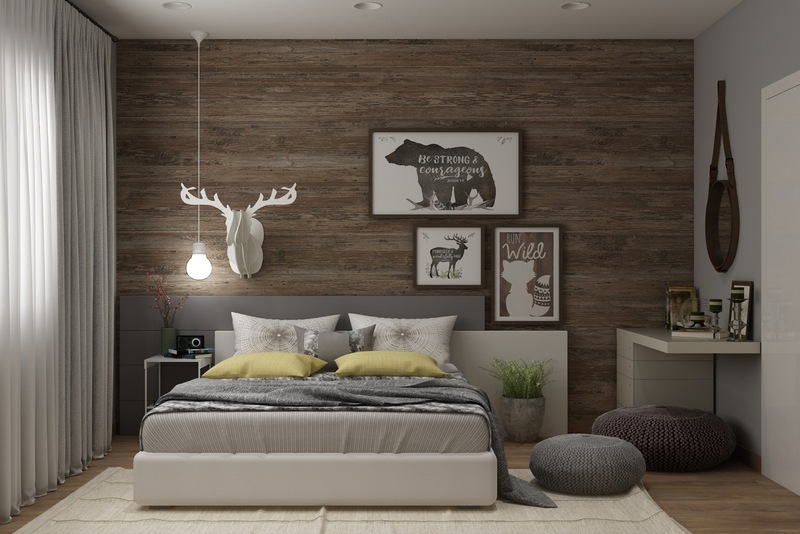 Continue the magic of your gap year with a nomadic style bedroom scheme. Split a large bedroom into a multi-use space without the need for builders. 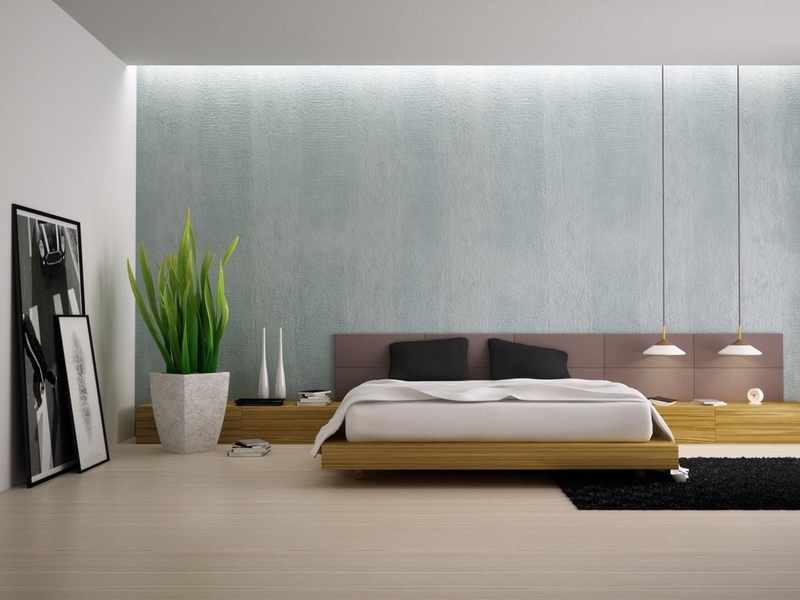 A partially dividing wall can be formed out of a back-to-back headboard and a bookcase arrangement, or similar. 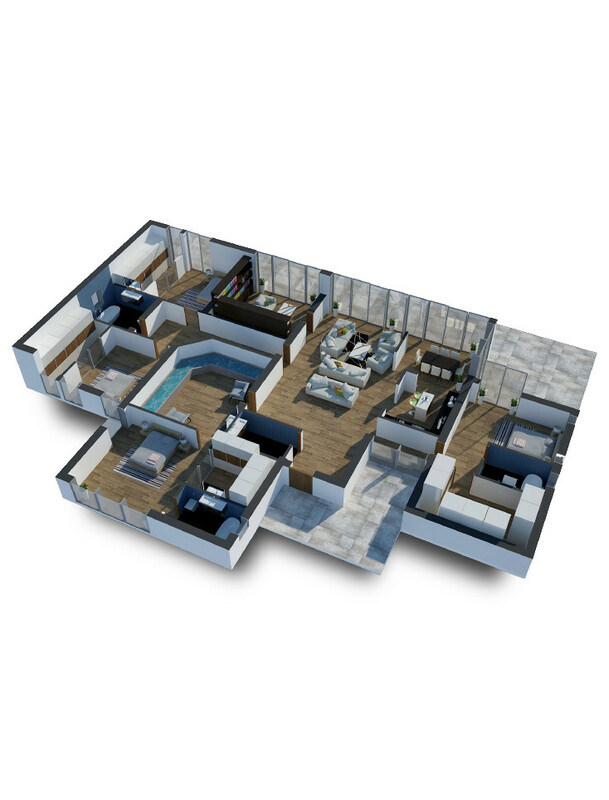 You can use the space behind the bed as a dedicated study, or install a freestanding bathtub as a luxury ensuite. Thread a common colour or two through both areas for a cohesive look. 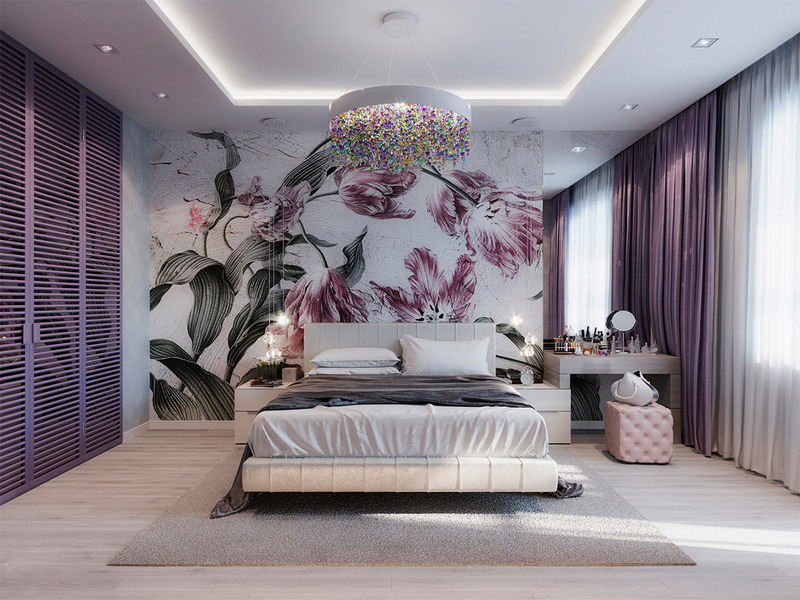 Bring in fantastic florals, like this purple themed bedroom with blooming headboard wall. 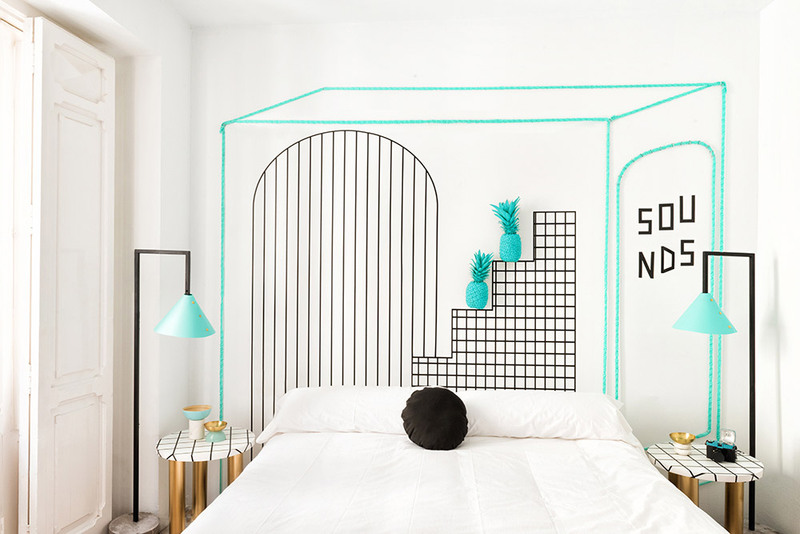 Stretch an average headboard to new heights – in measurement and style. 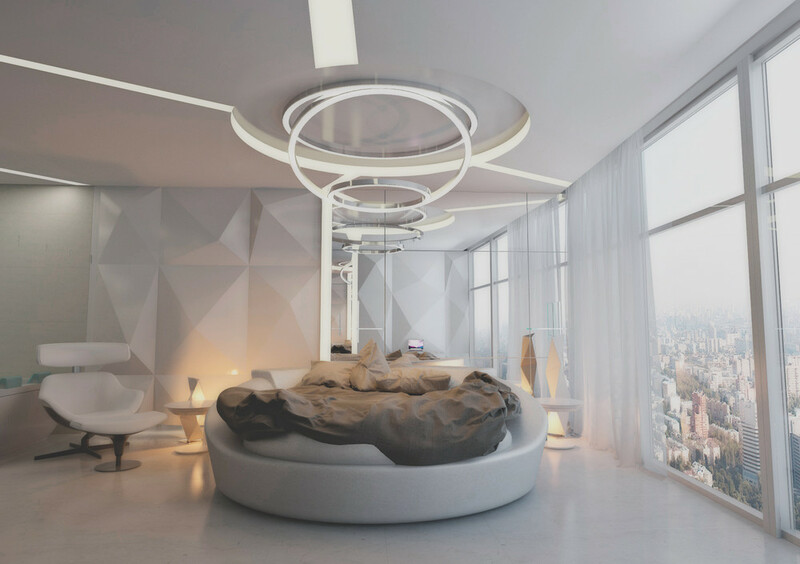 Team it with a bedside pendant light on a long flex to further accentuate the vertical proportion. Use large indoor plants to create a wild look. 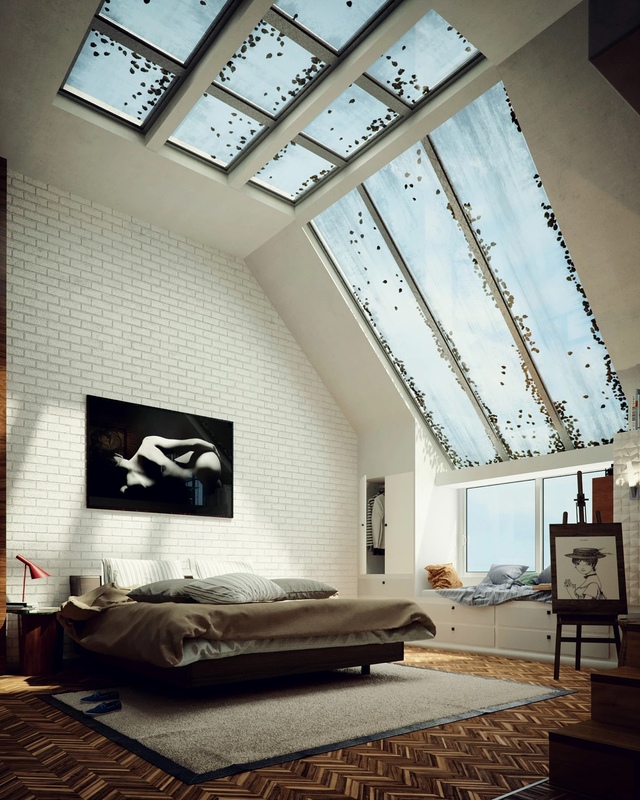 Don’t block floor to ceiling windows, choose a floor bed design to leave the view unobstructed. Hang industrial style lighting in front of an exposed brick wall for the loft look. 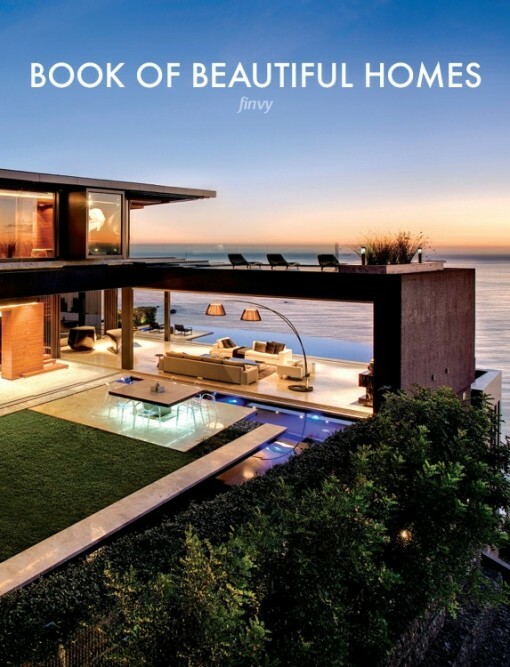 … let windows follow the flow of a tier-fall, and complement the shape with bespoke furniture. 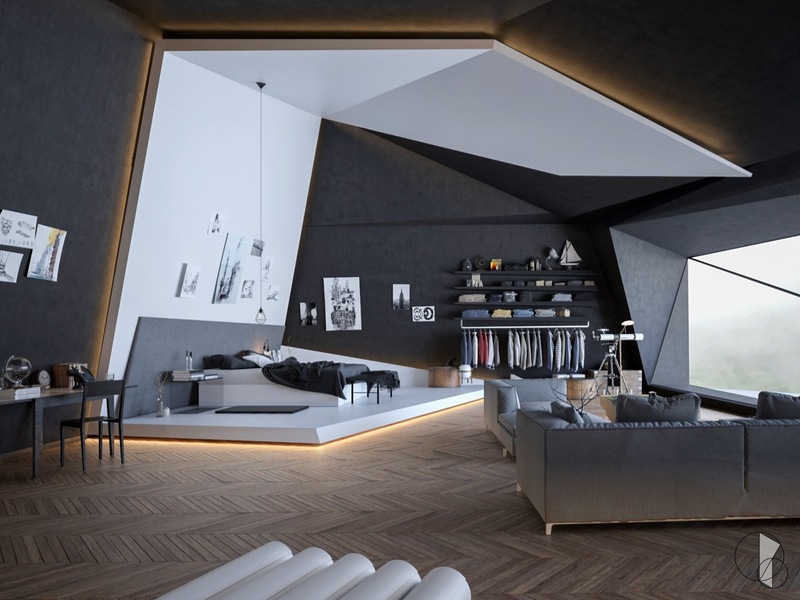 This loft bedroom uses wall and ceiling panels to exaggerate the strange proportions of the room. Create an optical illusion. 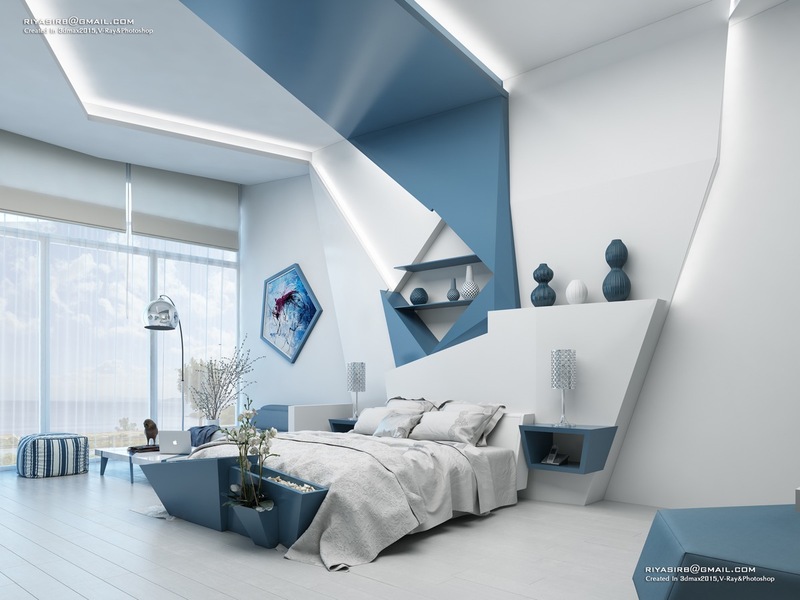 Geometric wall and ceiling panels, or dual colour angular shelving units, can be used to trick the eye into seeing intriguing architectural features where there are none. 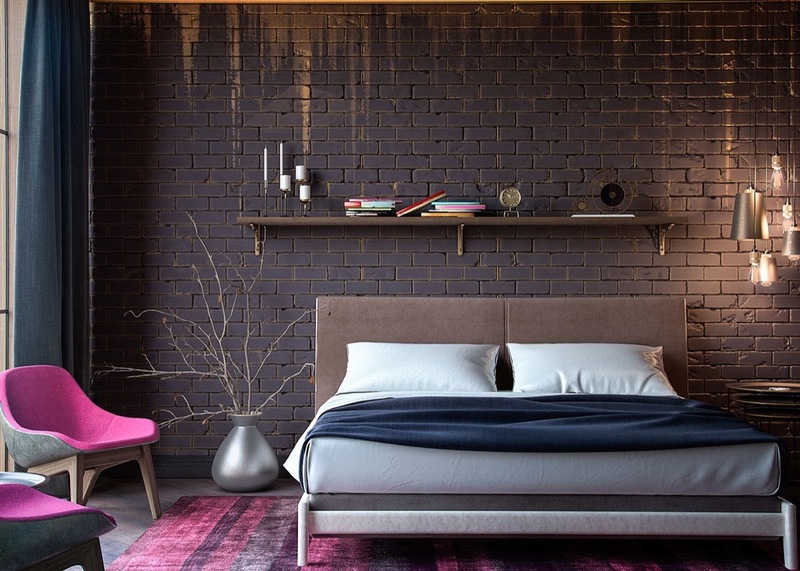 Install an extruded headboard wall design. 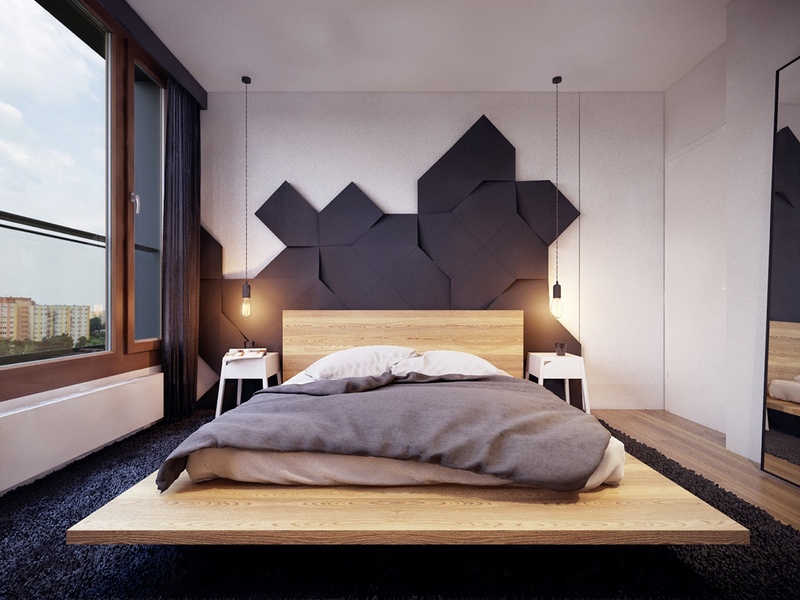 A three dimensional wall design forms great contrast with a minimalist platform bed. Make the scheme pop with a modern wallpaper print. 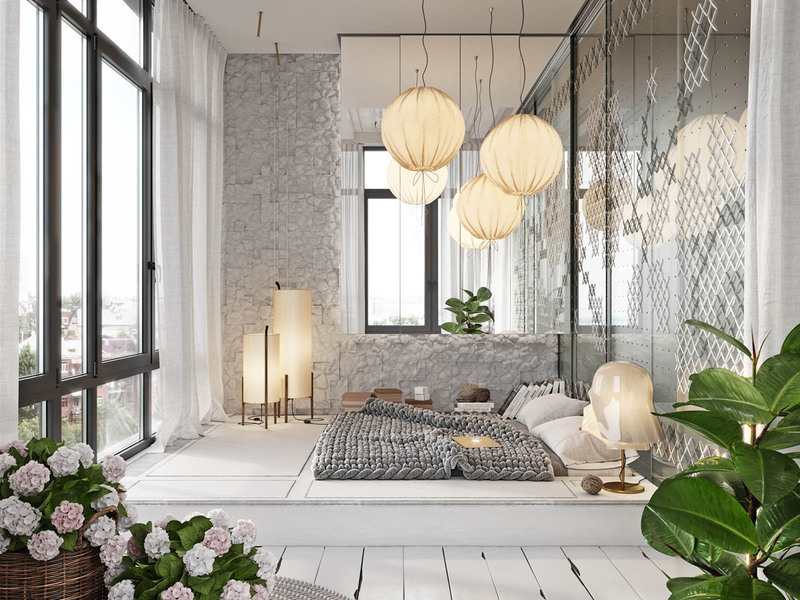 Combine a botanical theme with sharp geometric pendant lights and other geo home accessories to keep the look current. 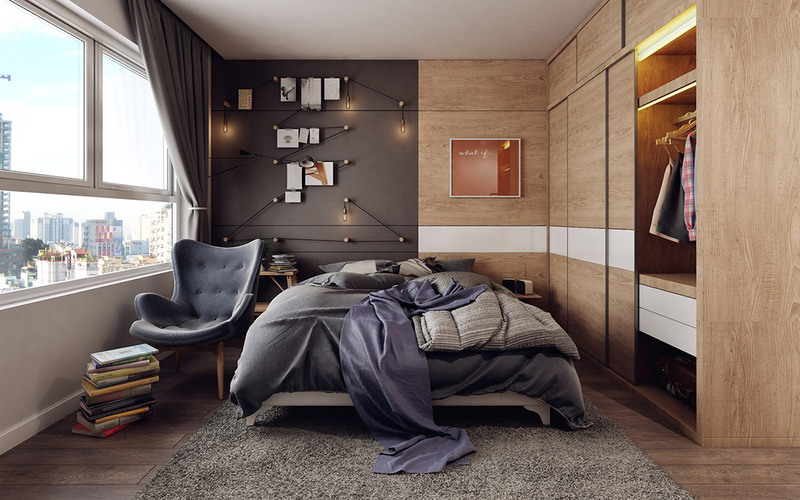 Curate a Scandinavian bedroom style. 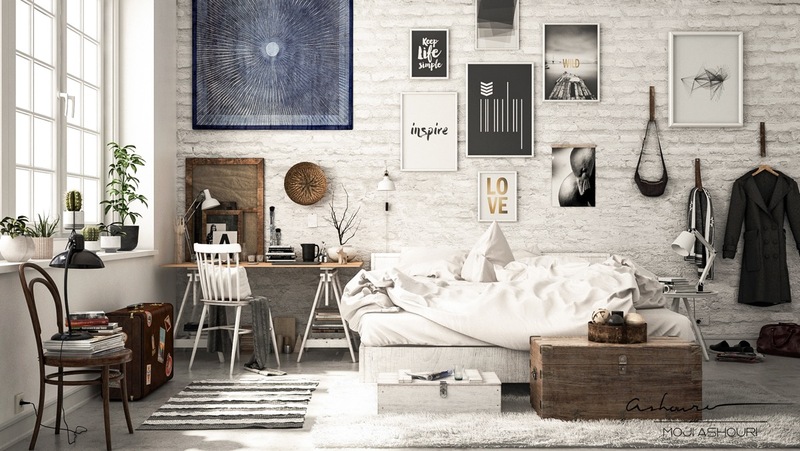 Throw in an abundance of white furniture, natural accents and monochrome wall art. Make a cutaway in a closet positioned by the bed in lieu of a bedside unit. Add LED lighting inside the niche to finish. Install storage under eaves to make the most of available space, like this flush-fitted luxury kids’ room. Find pieces as unique as you are. 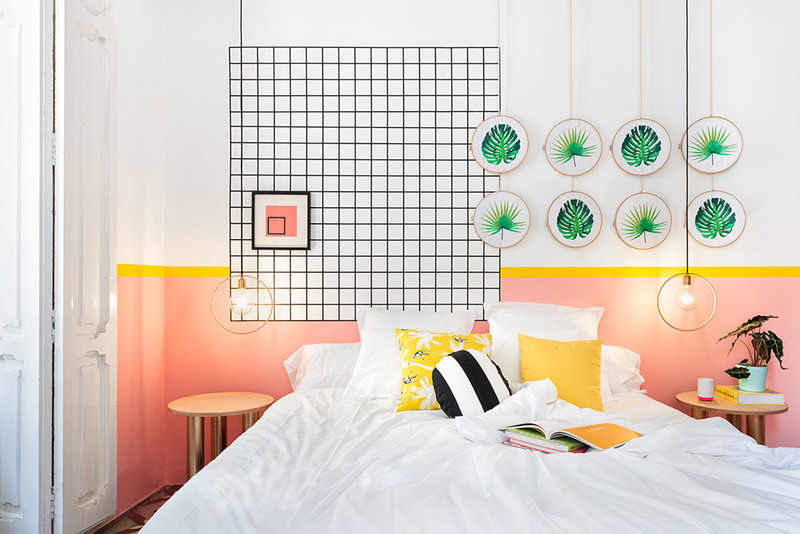 These anglepoise lamps descend from each side of the ceiling like robotic arms, and the textured wall is not something you’re going to find at your mate’s house. 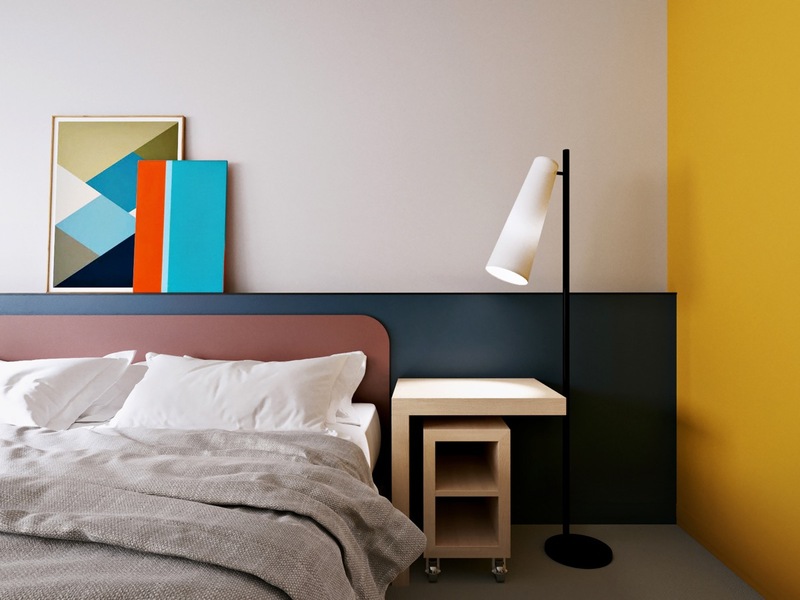 Choose bright swing arm wall lamps to bring in an unexpected flash of colour. 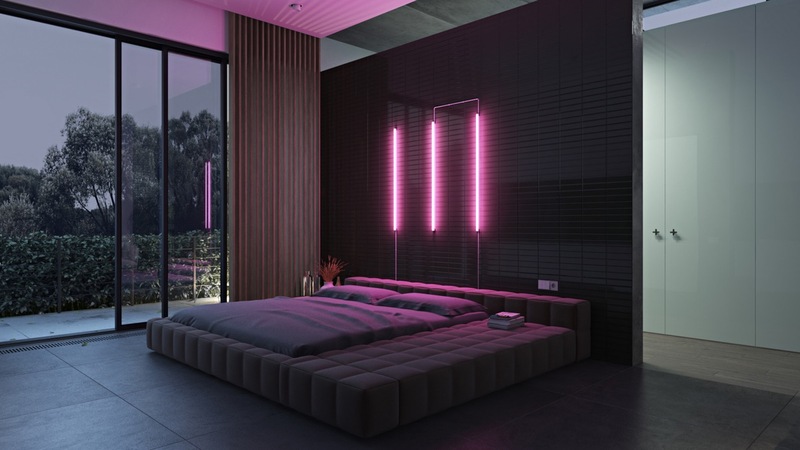 Dance your way out of bed on a 70’s-disco-style illuminated floor. Make a plinth for your bed. 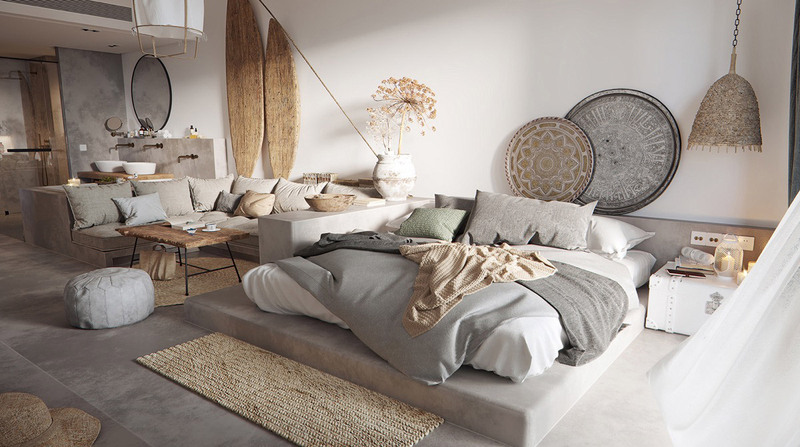 This rustic plinth holds the bed and a small side table up off the general floor space. One colourful wall hanging can change the mood of an entire room. Turkish delight. 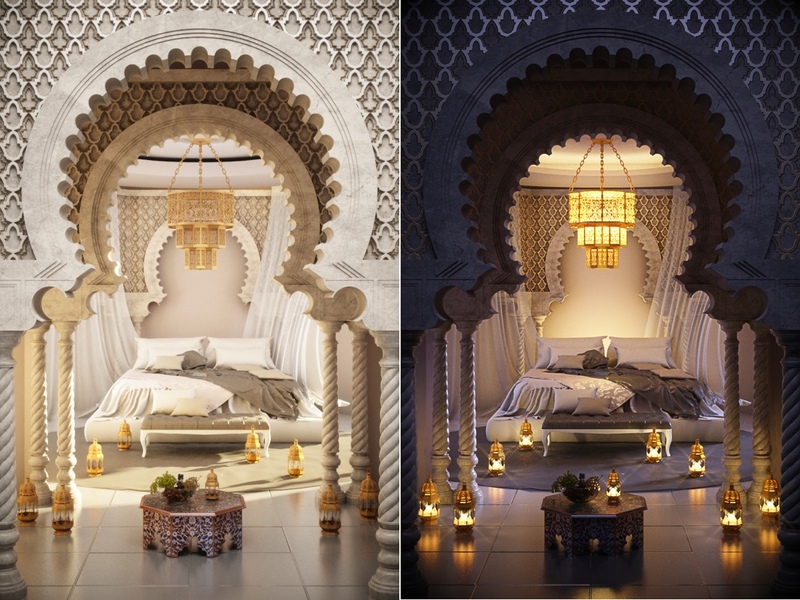 Ornate arches, luxurious textiles, painted tables and twinkling lanterns. If you need a little boost in the mornings, or whilst studying in the evenings, a wall of motivational posters might offer a welcome pick me up. Don’t hide away. 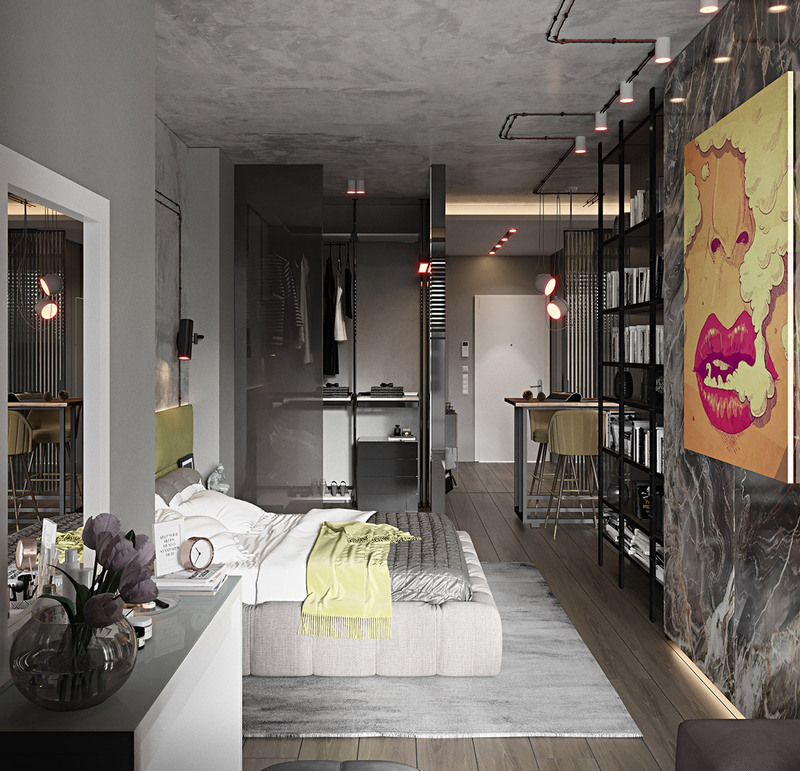 Draw bold designs with exposed electrical wires to harness the industrial vibe. Choose a common shape theme. The circle rug beneath this bed helps soften the harsh edges of a linear bed design. 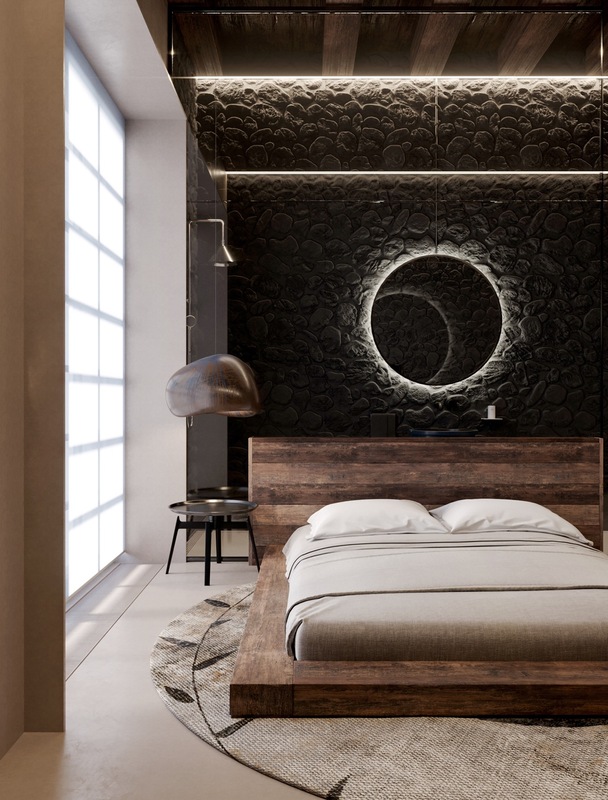 The shape is echoed by a round side table and circular wall decor.